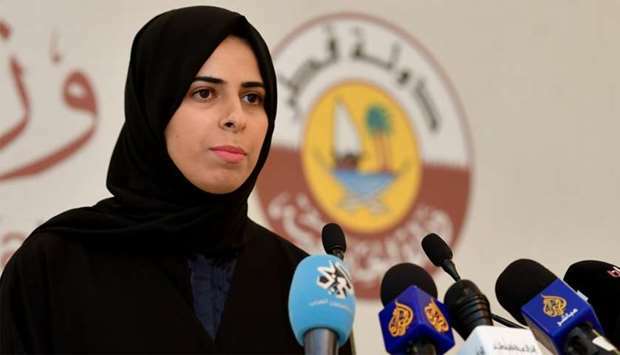 The measures taken by the siege countries against Qatar amount to an “economic war”, as highlighted in a recent UN report, Foreign Ministry spokesperson HE Lulwah al-Khater has said. She stressed that while Qatar hopes the issues can be resolved through diplomatic channels and dialogue, all efforts will be made to ensure that people adversely affected by the siege get redress, according to the official Qatar News Agency (QNA). 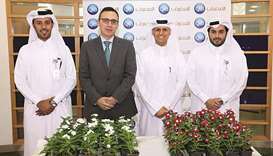 Speaking at a press conference in Doha yesterday, HE al-Khater said Qatar “valued the report” submitted by the United Nations technical mission from the Office of the High Commissioner for Human Rights, which visited Doha between November 17 and 24 last year. The visit took place to investigate the repercussions of the siege on human rights practices and the humanitarian condition of citizens, residents and GCC nationals who stay in Qatar. The official said the importance of the report lies in the fact that it marks the first UN documentation of the matter. There were related reports issued previously by non-government organisations, she noted, describing the UN report as a value addition. 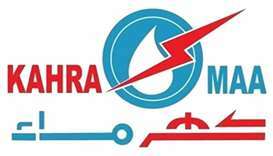 The spokesperson said the report “confirms and proves the hefty financial and moral damage” inflicted on citizens and residents of Qatar. She added that this damage also affected citizens of the siege countries, which is an important issue especially when the blockading nations are denying having caused such damage. She said the report confirmed their occurrence beyond any doubt, QNA reported. The spokesperson said the UN report proved that the measures taken by the siege countries did not differentiate between the government of Qatar and the country’s citizens and residents. This is a crucial matter, particularly when “we take into account the claims of the siege countries that these measures are directed against the government only, which is a baseless allegation, as proven in the report”. According to al-Khater, the report concludes the ongoing debate on whether it is a diplomatic blockade or a siege. The report expressly states that the actions taken against Qatar exceed the limits of diplomatic procedures, it was pointed out. She added that it was “impossible to describe those procedures as just a diplomatic blockade”, because they had an impact across various aspects - humanitarian, rights-related, economic and others. 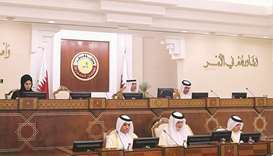 “Moreover, the report described these measures, especially the economic ones, as an ‘economic war’; this is an issue that must be taken into consideration,” HE al-Khater added. On the measures Qatar would take to seek redress, HE al-Khater said the committee established to determine the damages resulting from the violations would provide the legal basis for international action. This action will focus on the violation of agreements and contracts by the siege countries. Action by legal organisations and firms has already begun, she said. While Qatar hoped that the issues could be resolved through diplomatic channels and dialogue, she said residents and citizens whose rights had been violated deserved to claim their rights, and the State would do its utmost in this regard.